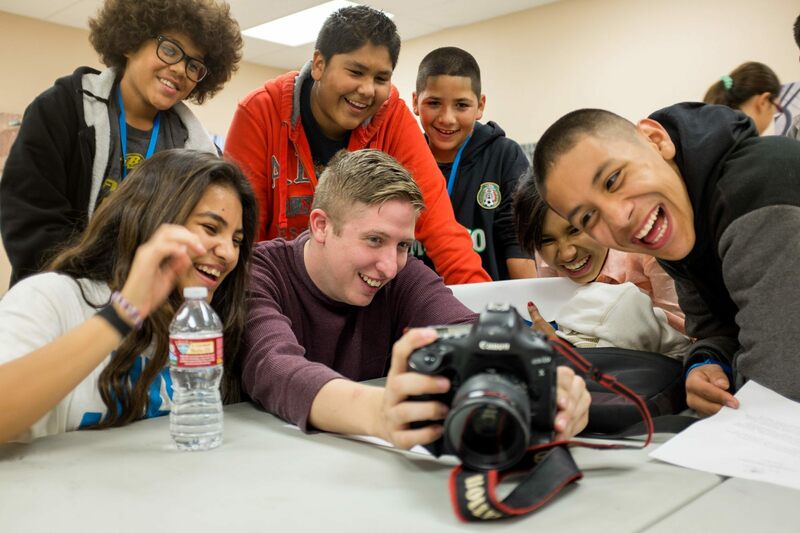 Photographer Karen Shell, a frequent Arizona Highways contributor, is the founder and executive director of Kids in Focus, a nonprofit organization where professional photographers mentor at-risk Arizona youths. The group's 2015 exhibition is coming up, and we hope you'll find time to attend. The 22 students, ages 12 to 14, all receive point-and-shoot digital cameras and make photos on weekly field trips and on their own. Along the way, Shell and 11 other volunteer photographers provide lessons, tools, ideas and feedback. "It makes me incredibly happy to see the kids and the mentors connecting with each other," Shell says in a news release. "I'm amazed at the amount of talent the mentors bring to this project and am deeply moved by the amount of heart they share with the kids. There is nothing more rewarding than watching the kids light up." The culmination of the nine-week Kids in Focus project is a 50-print exhibit at Burton Barr Central Library (1221 N. Central Avenue) in Phoenix. The exhibit's opening reception is March 6, and the exhibit will run through April 19. Both the reception and the exhibit are open to the public. At the opening reception, each of the youths will receive a hardbound book of the project. Following the exhibit, select images will be displayed at the Children's Museum of Phoenix this summer. For more information about Kids in Focus, visit www.kids-in-focus.org.